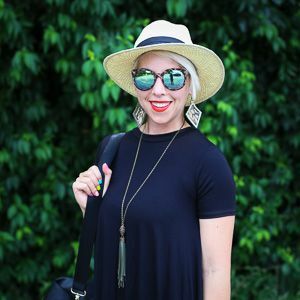 Tomorrow, as usual, the BEST OF Style link up will be up, so make sure to come back to link up your style posts of the week! You can check out the last two weeks trends we spotlighted HERE and HERE. 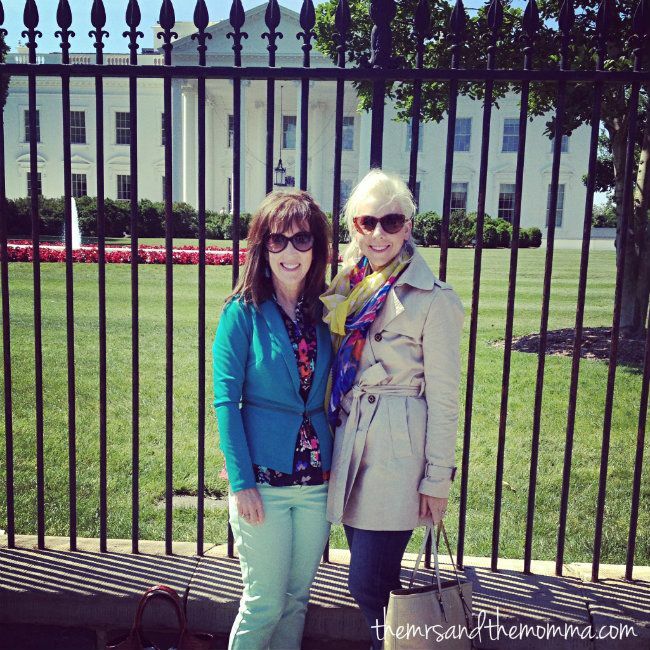 So, if you follow me on Instagram, I mentioned an encounter with a Secret Service agent when visiting the White House. Most people don't know that tours are no longer offered in the White House, but you can see the front (pictured) and the back of the house....unless it's blocked off, as it was the day we visited. I saw what I thought to be a security guard and asked him if the hold up was due to the President's motorcade leaving the WH. He squared his shoulders to me and said "No, it's just a temporary delay ma'am." And that's when I saw the words "Secret Service" on his shirt. Liar. I could see the sniper on the roof for goodness sakes. It was pretty obvious....we didn't stay around to see him leave, but we actually saw the motorcade go later. 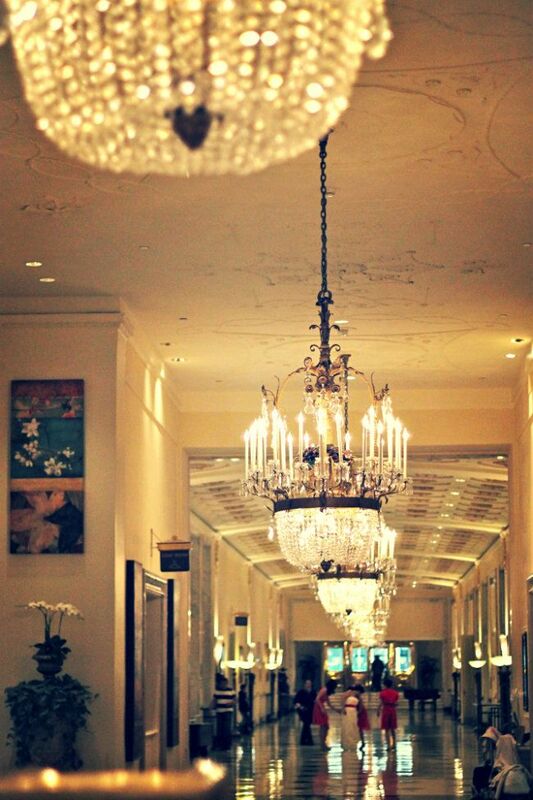 We stayed at the Mayflower Renaissance....and beautiful and historic hotel. It's where FDR wrote the profound words, "We have nothing to fear except fear itself." I would definitely recommend staying there....just gorgeous and a great location! 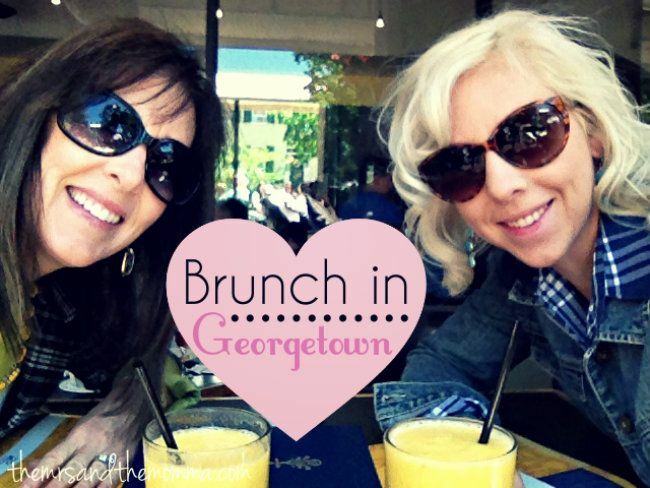 As I included in my post yesterday, brunch in Georgetown was delish and a neat experience. I think I need to make brunching a weekend tradition...oh wait, I have four small kids. Never mind. Our first evening in Washington, we didn't really have a plan. We didn't have a feel for the layout of the city yet and ended up walking around sort of aimlessly. One thing that we came across often were little parks with statues of some notable figure. I have no idea what this was behind me, but it was purty. Oh, and I'd like to give a shout out to my new, trusty trench. I bought this at the Banana Republic outlet just a couple of weeks ago not knowing when I would ever have a chance to wear it (similar one here), but not being able to pass up such a steal. Well, it ended up being my BFF on our trip, as it was pretty chilly the first two days and this trench was the perfect weight. I've always known trenches were a closet staple, but I never thought I had a need for one....living in Texas and all. I now stand corrected. When we were shopping in Georgetown, my mom convinced me to get this hat at Urban Outfitters...and I'm so glad she did! It practically hasn't left my head since! 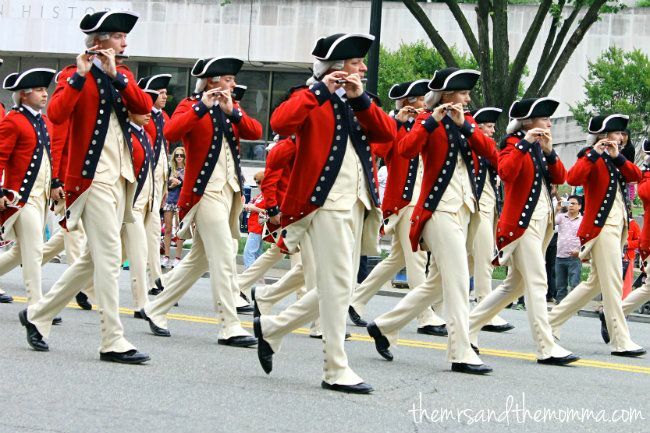 One of the highlights of the trip was the Memorial Day parade we got to see. It actually wasn't a whole lot of show, just a basic marching parade with a few celebrities interspersed. 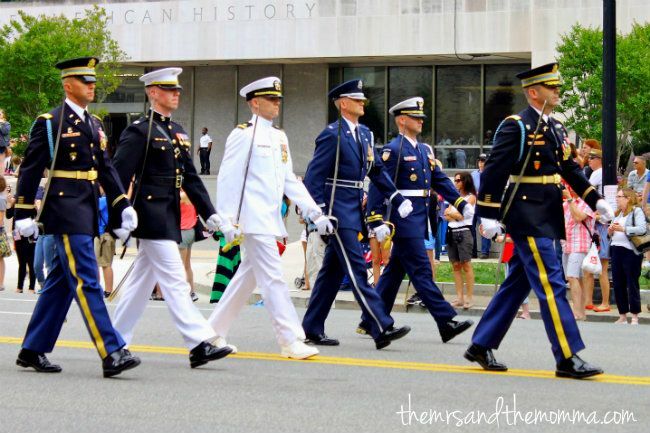 Seeing our armed forces dressed up so sharp marching to honor fallen veterans will bring a tear to anyone's eye. Pride for one's country is up there in the intense feelings category....it's why the 4th of July is one of my favorite holidays. My momma and I had such a wonderful time together, as we always do. It wasn't a relaxing trip...nor was it super organized...but it was quality time we had the privilege of spending together appreciating art, history, and each other. Where have you ladies gone in the past? I love how you make it an annual thing! I have a feeling it's going to be burning hot this weekend. I loveeeeee the jean jacket outfit with your new hat. SOOO cute! 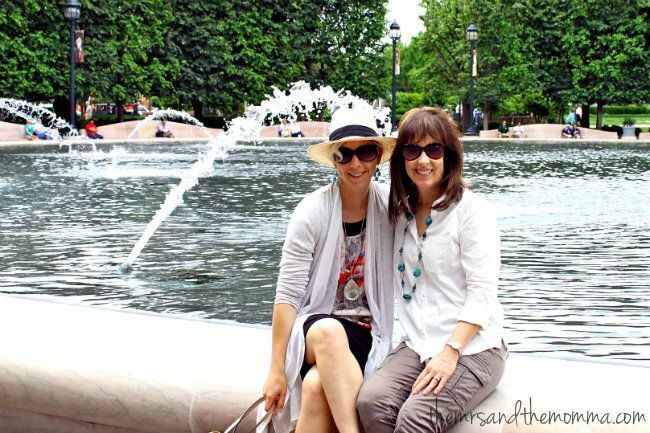 Lovely to see a mom and daughter enjoy a trip together! 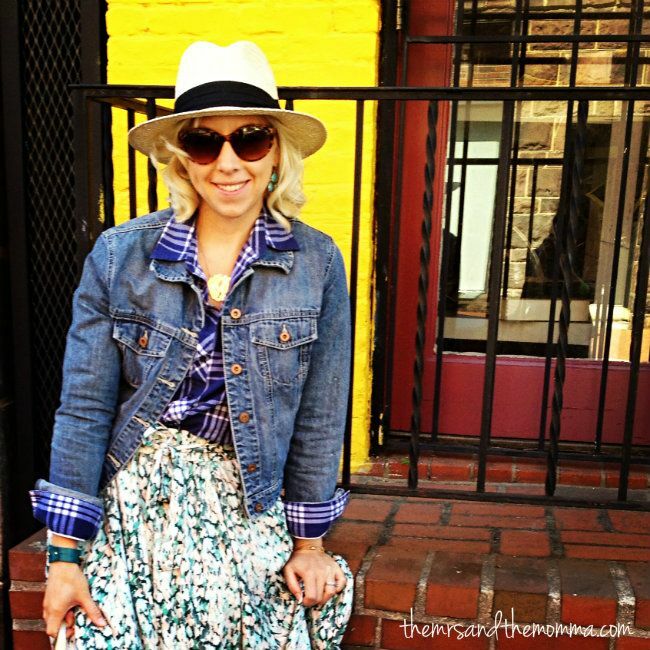 Your blog not only highlights your fashion but also your apparent pleasure of spending time with your family. You both look great together, I can imaging how much you enjoy your trip with your lovely mother ! !